Till the date, the total earnings of Derek Brunson is around $883,000. On June 24, 2011, Derek Brunson earned $5,000 from Strikeforce Challengers: Fodor vs Terry. In July, he earned $7,000 from Strikeforce: Fedor vs Henderson. Then in November, he earned $9,000 from Strikeforce Challengers: Britt vs Sayers. Coming into 2012, Brunson earned $13,000 from Strikeforce: Rousey vs Kaufman. In December, he earned $30,000 from UFC 155. In 2013, he earned $69,000 from UFC Fight Night: Rockhold vs Philippou. In 2014, he earned $44,000 from UFC 177, and in 2015, he earned $50,000 from UFC 183. In February, he earned $72,000 from UFC Fight Night: Cowboy vs Oliveira. Then in August, he earned $61,000 from UFC Fight Night: Teixeira vs Saint Preux. On September 17, 2016, Brunson earned $76,000 from UFC Fight Night: Poirier vs Johnson. In November, he earned $95,000 from UFC Fight Night: Whittaker vs Brunson. On February 11, 2017, Brunson earned $45,000 from UFC 208. In July, he earned $85,000 from UFC Fight Night: Lewis vs Hunt. Then in October, he earned $134,000 from UFC Fight Night: Brunson vs Machida. And on January 27, 2018, Brunson earned $54,000 from UFC Fight Night: Jacare vs Brunson 2. There is no information given about his assets but he is sure to have a luxurious house and expensive cars. 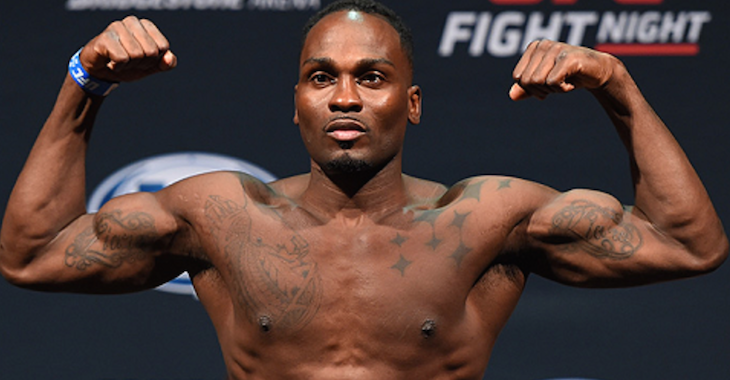 How Did Derek Brunson Spend His Childhood And Start His MMA Career? Derek T. Brunson was born on January 4, 1984, in Wilmington, North Carolina. He used to wrestle at John T. Hoggard High School under the management of Coach Dan Willis. He also wrestled at the University of North Carolina, Pembroke. He used to train MMA at Renzo Gracie jiu-jitsu. Derek Brunson started his professional MMA career in May 2010 at Carolina's Summer Fight which he won against John Bryant. Then, Brunson won his five consecutive fights and went to join Strikeforce. Derek Brunson made his Strikeforce debut on June 24, 2011, at Strikeforce: Fedor vs Henderson which he won against Jeremy Hamilton. Then, Brunson won two consecutive fights at Strikeforce. Then, Brunson lost his two consecutive fights at Strikeforce and went to join UFC. Making his UFC debut on December 29, 2012, Brunson won his match against Chris Leben at UFC 155. Also winning his second match at UFC against Brian Houston, Brunson came to lose against Yoel Romero at UFC Fight Night: Rockhold vs Philippou on January 15, 2014. 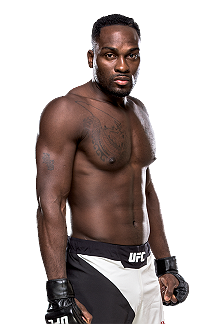 Losing his first UFC match, Derek Brunson won five consecutive matches at UFC from August 20, 2014, to September 17, 2016. Failing to continue the winning streak, Brunson lost two consecutive fights against Robert Whittaker and Anderson Silva on November 27, 2016, and February 11, 2017, respectively. Then on June 11, 2017, Brunson won against Dan Kelly at UFC Fight Night: Lewis vs Hunt and also won against Lyoto Machida at UFC Fight Night: Brunson vs Machida on October 28, 2017. Recently, Brunson lost to Ronaldo Souza at UFC on Fox: Jacare vs Brunson 2 on January 27, 2018. 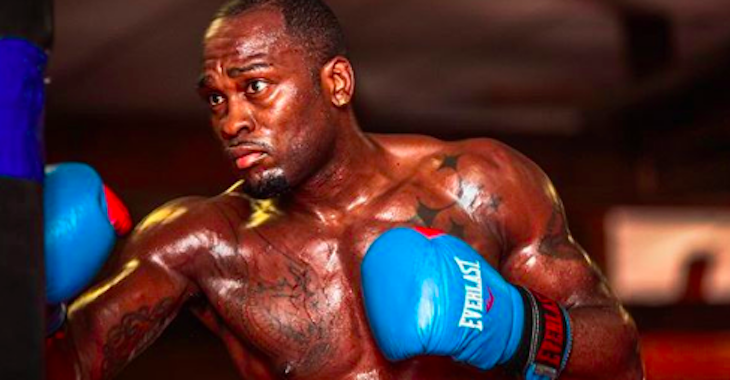 Derek Brunson is married but details about his wife are not revealed. However, we came to know that Brunson has two daughters.